We live in an age of diversity and the ability to access millions of images, graphics, fonts, and other forms of digital art with a click of a button. With the rise of mass marketing and our digital relationships, finding free downloadable clipart, photos, and fonts is far easier than it used to be. As a former teacher, I know how much has changed since I was in the classroom only a couple of years ago. There once was a time when we had to hunt people down to find something we needed, but now, we can sit at home in our pajamas and access thousands of resources within minutes. However, these benefits do not come without a price. We do not have the freedom to use the images, clipart, and fonts we find on the web without permission. Here is something I wrote that you might want to recite to yourself. For the purpose of this post, the word "it" refers to clipart, photos, fonts, and other digital resources found online. If I did not create "it", then I need permission to use "it"! This small quote will help you decide whether or not you should use a digital image or font in your TpT free or paid products. Now in English.... Copyright protects your work. Copyright laws, although in place to protect intellectual property and digital work (Digital Millennium Copyright Act ), can do nothing for you in a case of copyright infringement unless you can prove you are the original creator of the work in question. I am not going to explain in detail what steps to take to make sure your work is protected; however, I will tell you that you do NOT need to file or register your work to be protected. 2. When is my work protected? 3. Do I have to register with your office to be protected? 4. Why should I register my work if copyright protection is automatic? 5. I’ve heard about a “poor man’s copyright.” What is it? 6. Is my copyright good in other countries? 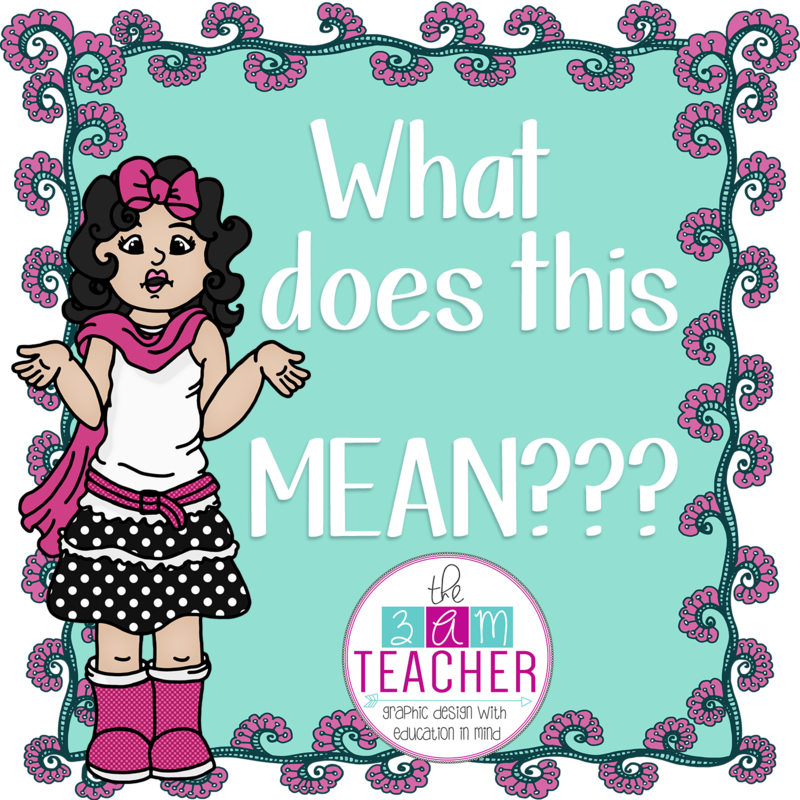 Those of you who create TpT products might feel a little comfort in knowing that when you publish your product online, a digital stamp or date of publication is created. That date can be used to determine the original creator if a dispute should arise. As a Teachers Pay Teachers Seller/ Online Business Owner, you need to know that the work of others is protected under the law. Do not use, copy, re-sell, or post anything without permission. For myself, I must depend on my art and my talents to put food on the table and pay the bills. I am able to bless my family as well as fellow sellers who create amazing resources by making my art available on TpT and my other online stores. I am always honored when anyone uses my art to improve the quality of their product, however, I do expect for my hard work to be respected, protected, and attributed. Refers to the use of ANYTHING (clipart, photos, fonts, reference materials, etc) that you plan to use in AnYTHING (web design, products, hard goods, digital scrapbooking, digital books, etc) that generates an income. If you plan to use the clipart or font in a resource that you hope will generate an income for you, then you will need to make sure you have permission to do so. Because... in order to use the clipart and/or fonts in products that will generate an income, the artist may have included specific guidelines that you MUST respect and follow. Remember, you are using work from another business owner in order to improve the quality of your own work. Both the artist and user must respect each other's businesses and hard work. Using images in products you sell without abiding by all of the terms stated by the artists' work you are choosing to use is called COPYRIGHT INFRINGEMENT. Copyright infringement can lead to a lawsuit and/or the loss of your online shop(s). In some cases, a lawsuit could include having to pay thousands of dollars or writing an embarrassing letter to all of your clients about your actions. 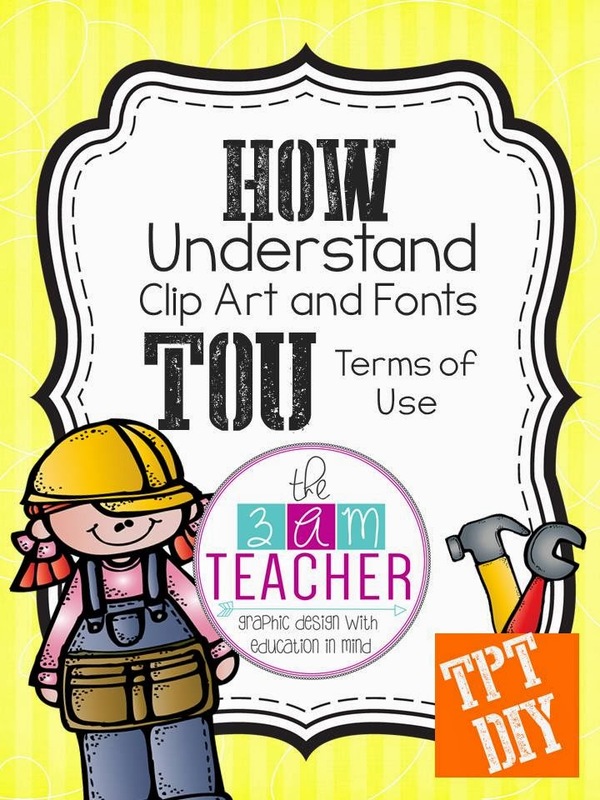 For this next part, I am only going to focus on the specifics of various restrictions in terms of using clipart and fonts in TpT products only.... there are many other terms and restrictions on commercial use clipart/fonts that pertain to other uses besides teaching materials. Please be very aware of those terms and restrictions if you plan on making hard goods or things to sell on Etsy with the art/fonts. 1. Check to make sure an additional fee is not needed to use the clipart or fonts in your products. If additional fees are required, decide whether it is worth the business investment to improve your products. If it is, then pay up and make sure to give the artist lots of love. If you do not feel that the art is worth the investment, then find another artist. There are many talented people on TpT!!! 2. Limited printing or selling caps placed on commercial use terms. Some artists want additional fees if a seller plans to sell more than 1000 units of a product that contains their art. Remember, this is not unreasonable from the artists' standpoint, but you will need to decide if this is a term you're willing to abide by. Most sellers LOATH terms like these (hints to artists out there who might be just starting out). It requires that they keep track of the particular products that contain those images, track the quantity sold, and make sure to contact the artist to purchase additional license fees should their product become popular. As a former teacher: Ain't Nobody Got Time for Dat! Possibly... the personal Meta-log of an artist... Wow, ______ is making lots of money from the $5.00 set they purchased from me... I need to monetize on this somehow. *Artists who do not sell teaching materials may not realize that, although the art improves the overall quality of a product, it is the content (not the art) that makes a product popular or not. Me: I would not even want to begin having to monitor this.... price includes commercial use license... for life... no matter how popular you get. And I hope everyone who uses my art does get popular... that is great for business!! haha!! I would not want to penalize success in any way. 3. May not be used in Smartboard resources. Many artists prohibit their art from being used in Smartboard resources offered for free or placed up for sale. This is because there is no way to secure and protect their work from people who purchase those products. When someone downloads a purchased Smartboard file, the included clipart images are not secured and can be stolen and used by the buyer. This poses many problems for artists. The purchaser of the product did not pay for the art and is, most likely, unaware of the terms or copyright restrictions. When you purchase clipart or fonts, you hold the licence to use the art, but your buyers do not. If you love your artist(s), then make sure you protect their work and they will love you right back. Always email the artist if you are unsure about using the images. 5. Images may not be used in blog posts. This one probably applies to every artist I know; including myself. Please DO NOT upload copyrighted images in your posts. Even if the images are used innocently to brighten a post, you are giving those images away to every person who visits your blog....for free... DON'T DO IT.... It is like using profanity with copyrighted images and it hurts the artist and his/her business. There are ways to add images to a blog post without compromising the art through code or with a program. 6. The artist who sells copyrighted and trademarked images... BIG NO NO!!! Characters in books and in movies are copyrighted and protected under the United States Copyright Law. Just because they can draw it and sell it, doesn't mean you are protected. YOU know better!! No matter how tempting, do NOT purchase clip art containing images of copyrighted art and characters to use in products you plan to sell. Creating quality resources takes a great deal of time and planning! These materials don't create themselves... If you choose to purchase these clipart sets, you put yourself AND your buyers at risk!! As an artist offering commercial use of images I create, I have a duty to protect myself and my buyers from possible copyright infringement lawsuits. Just stay away from these sets. There are alternatives to the copyrighted images that will work just as well with your resources... Instead of purchasing a set of clipart titled, "Pete the Cat", and includes replicas of the book characters in the set... instead, find a set of cute cats images with shoes that are not replicas of the book character. You will get the same result in your resource without having to worry whether or not you will be asked to take the product down from your shop. Important NOTE to TpT Sellers: If you receive a cease and desist letter through TpT, and are found "guilty" of copyright infringement, then you will also receive a "strike" against your shop. After three strikes, your shop can and will most likely be shut down. Read the TPT Terms of Service for more information. Taking risks, such as purchasing clipart of copyrighted images, is not worth the investment in the longevity and success of your business. ..... Friends help friends say NO, by sharing the knowledge!!! 7. Attribution Required for personal and commercial use. Most of the artists on TPT do not require that you purchase an extra license for commercial use, but that you do include an attribution in your file where the images are used. Most artists include a link and/or an image you can include in your file for the credit/attribution. You must follow the terms of each artist. Some artist's require that a link be placed on EVERY page the clipart is used, while others only require that you place the credit somewhere in your file. BUT I am a gem... just ask my husband... there can only be one of me in this world!! I also create teaching materials and I know how important it is to have quality art and attractive layouts and covers. You catch their eyes with what's on the outside, but you gain their hearts when they fall in love with what's on the inside.... If an artist has your heart, you will have "her" passion and "her" help when you need it. 10. Last, but not least: IMAGES MUST be secured and/or flattened. This is often required for personal and commercial use. Securing the images efficiently will benefit both you and the artist. You will benefit, because you will continue to create unique resources. If you give everyone who buys your products free clipart (by failing to secure the images), they will create similar resources and not have to pay for the images. They might also take your idea and improve it and surpass you in sales. Don't hurt your own business by making it easy for sellers to copy your work. If they want to create a resource with similar images... make them invest their own money into a business, instead of mooching freebies from your work. You might not even be aware that the images you are using are not secure. Protect the artists' work as you would your own work. Converting a file to a PDF does NOT secure the file!!! The copyrighted images must be flattened or secured with a password; disabling the ability to right click on images and copy or save them from within your product. If you can right click and copy/save the image, then you have NOT secured the clipart. Here are a few tutorials and resources that might help you learn how to secure copyrighted clipart in your TpT products. 2. How to group images in Microsoft Word. This will show you how to group/flatten images so they are not clickable when converted to a PDF. 3. Flatten images in PowerPoint by saving your presentation pages as individual jpeg or png images before converting to PDF to secure copyrighted images. You can NOT arrange clipart images to make a frame to sell, or sell single pages as printable clipart for people to cut out, or create coloring books using clipart to sell. You are selling the someone else's work when you do this. Just as you wouldn't want someone purchasing your file, putting their name on it, and re-selling it as their own, neither do the artists want to see only their images in a file with your name on it. It is still not okay to do this even if you give credit to the artist. PERSONAL USE: Things you create for yourself and your personal classroom ONLY. You may not use personal use clipart images in free resources, shared files, or products for sale. What can be Protected Under the United States Copyright Law? 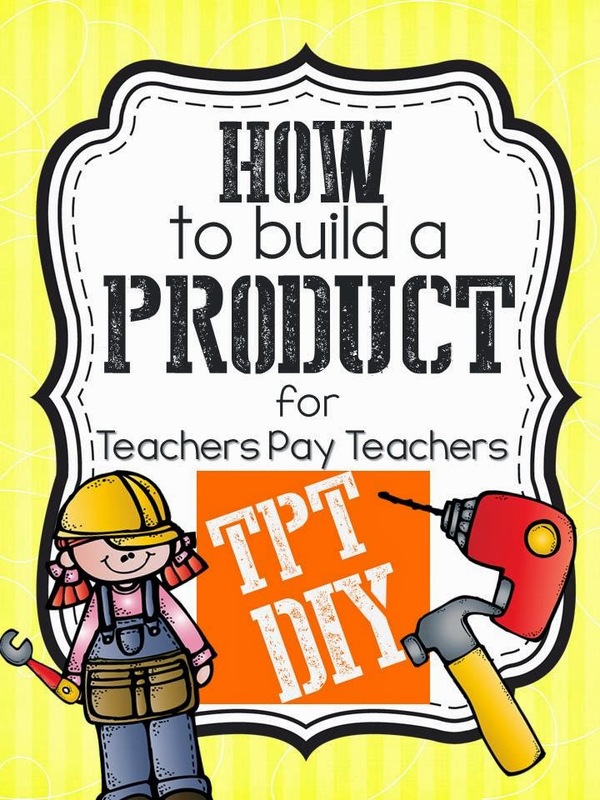 Do you want more amazing tips on how to make your Teacher’s Pay Teachers products sell, sell, sell? You are AWESOME!!! Honestly, when I reached the bottom of this post I expected to see a TON of comments like when, oh goodness who was it? ?, well a well known blogger did a post on blogging ettiquette (sp? ), that had dozens of comments! So much good information. I LOVE your work and I have been trying to get all of my clipart and tous together so I can do this RIGHT. Thank you so very much for #10. I am going to have to learn how to do it right because I was mistakenly under the impression that making it a PDF made it secure...makes me glad that I haven't yet 'launched' my stores! I feel like it is taking me forever!!! I have a folder in dropbox of everything I want to post in my stores, currently I am working on my covers & credit pages, then the next step will be my descriptions for TpT & TN. I don't know how some are able to write blog posts daily, post products at least weekly, keep perfect rooms, and be wives/moms...in my world I'm just trying to take one step at a time...inch by inch....anyway GREAT post!!! My clipart/tou binder has 18 preview pages of your products!!!!!! You are SOOO sweet! Thank you very much!! I worked so hard trying to include as much of the basics as I could think of and this post took me a long while!! I hope that the more people who share this, the more will be able to use this as a little resource. Your comment has completely put a smile on my face!! Excellent post! I bookmarked it so I can revisit it when creating products. OH MY WORD. You are a ROCK STAR!!!!!!!!!!!!!!!!!!!!!!!!!!!!!!!!!!!!!!!!!!!!!!!!!!!!!!! Thank you! 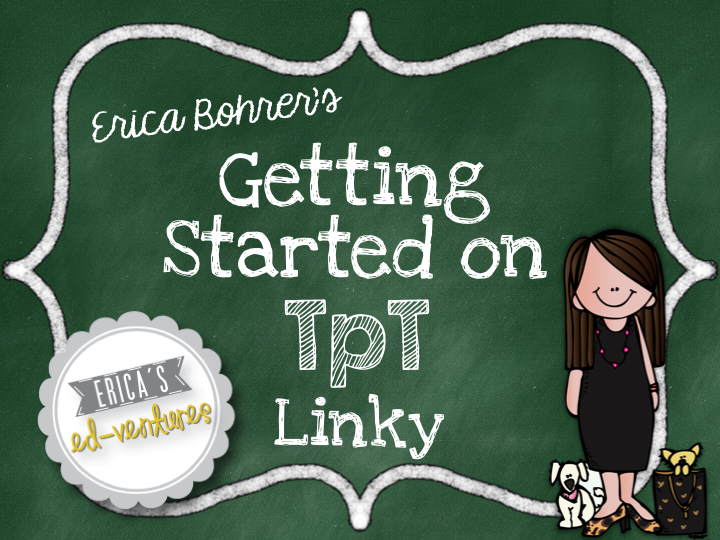 This is super helpful for a new TPT seller like me! THANKS! This is completely brilliant. THANK YOU for writing this, Michelle. It's really made me think of a few things and inspired me to refine my TOU. I loved the bit about being kind to artists too! So true! In my store you get to see everything before you buy in the preview so moaning about price or content is a bit 'off' in my opinion, as is leaving poor feedback for not including what they wanted you to include. Good to know I am not alone in my thinking!! I can't even begin to tell you how helpful this post has been. I have been reading TOU for several different fonts and graphics and feel so much more confident now! I think I have read this post a bo-zillion times (and maybe even bookmarked it so I can come back and revisit)! Thank you so much for this information! I didn't even realize that my products wouldn't be secure as a .pdf. :-/ I'm so glad I know what to do now...thanks again! Hoping you can answer a question. I have searched and searched for an answer to no avail. Can clipart images from office.com be used in TpT products? It used to be that the use of Microsoft images in TpT products was allowed; however, this is no longer the case. Because Microsoft Office does not want their images associated with any other brand, identity or product other than their own. The images can be used for commercial use in some cases, but their copyright terms are very difficult to understand. They are not very clear on their site, but I have been informed that the images are no longer allowed in TpT products. Here is a link to a great FREE PDF download on Copyright and other common questions written by Margaret Whisnant on TpT. Page 2 has a little blurp about the use of Office.com images that you might find helpful. I hope this helps! Thank you for stopping by!! This is so helpful. I'm a teacher who has been too afraid to go to the seller vantage point because I felt I lacked all this knowledge. Thank you for sharing and thus empowering other educators! Thank you for all of this..very helpful. I have one question that I can seem to find the answer to...I have a fluency passage I created about snowboarding and would like to include a few sentences about a real life snowboarder. It is about their life as an olympic snowboarder. Is that copyright infringement? Please help! Thank you!!!!! THANK YOU THANK YOU THANK YOU! This is so informative...and I can't wait to view all of the links...I just pinned each one to my pinterest page! I am so interested in starting a blog...just don't know where to start! After I read up on it...you are def on my list of people to contact to help with the design! You ROCK! This is so helpful. Thank you! I have a lot of social stories that I want to sell/share, and I have been looking around to see what I need to do. I am so thankful I found this post. 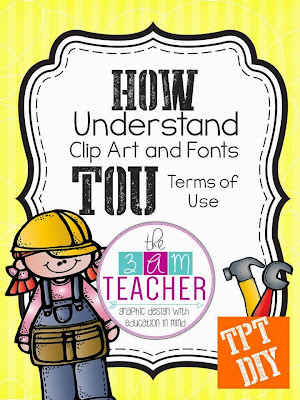 After creating learning activities to be sold on TPT (some with your beautiful clip art! ), I was at a loss as to the legalities of selling items using clipart I had purchased. This post was so clear and has so many great links. Thank you! Thank you so much for the informative post. I am getting a TPT store together for the first time and just made some font purchases! This has me thinking about another copyright question: I am an English Language Arts Teacher. Most of my materials are created around copyrighted works: stories, novels, poems, songs. What about works where one would (normally) include the text to complete the activity, such as a song or poem in a station? Wonderful!!!!! I really needed this article! I am about to tell you about Build an online store? At first glance Build an online store may seem unenchanting, however its study is a necessity for anyone wishing to intellectually advance beyond their childhood. Remarkably Build an online store is heralded by shopkeepers and investment bankers alike, leading many to state that there are just not enough blues songs written about Build an online store. Often it is seen as both a help and a hinderence to those most reliant on technology, obviously. Keeping all of this in mind, in this essay I will examine the major issues. Hello! Thank you for this very informative post! I was wondering if you could answer a random question I have-- what about royalty free fonts? There are often royalty free fonts available online, and it is my understanding that you can use them in any of your products, regardless of whether or not you are selling them or just making them for yourself. Is that correct? If so, would we still need to include them in the credits? Thanks for sharing all of your knowledge with us new to the game! In some cases, websites will offer free downloads of fonts that they do not own, which is illegal in most cases, but people do it. In these instances where you might be downloading a font from an unknown site, conduct a google search on the font to find the font designer in order to check out the license info. If there is none to be found, then toss the font... It is not worth the hassle of getting into trouble and there are a million other fonts available online that will include the designer and license info. Not all font designers require that you include their info in the credits of your resources; however, it is a good habit to start. Always check to see if a font is truly royalty free by searching for the font designer of the original work. Royalty free does mean that you can use those fonts in products and resources you create without having to pay a fee, but there are often limits or special terms that you will want to make sure to read. Thank you for all the information. I am hoping to get your thoughts on something as I can't seem to find an answer anywhere. I've purchased some great fonts for commercial use and always give credit to the creator with links. However, I want to use these fonts on a TPT banner and logo, but I wouldn't be able to give credit. What are your thoughts on this? If the font designer's require that credit be given, you can (most likely) add a credit link within your profile description. The best thing to do is to email the font designer and ask him or her directly. Most will respond quickly and you will know for sure if you are following the terms for the fonts you are wanting to use. In my experience, most font designers do not require that credit be given. They do, however, appreciate when you do, but most do not require this. I purchase most of my commercial font licenses from My Fonts (https://www.myfonts.com/?refby=3am). I know that is not a clear answer to your question, but I do hope that helps. Hello, I wanted to say thank you for posting this information. I wanted to ask you a couple of questions because I want to make sure that I understand what you are sharing on this blog. These are probably really dumb questions especially because this is what this whole blog is about! (dont hate me lol) I have made documents at home with Microsoft word clipart and font for activites with my son. I wanted to make an account on tpt and upload some of these documents because I want to share/sell them to others. But based on what I have read this is illegal correct? So I cannot use clipart or any font (such as Arial) on Microsoft to make my documents and sell them? What if I create my own images using the tools word provides? Is that legal? I just want to clarify this. Also where can I find free clipart or font to create my documents? I am new to all of this and I want to make sure that I do everything the right way. Thank you for your time!! I hope you have a great week. 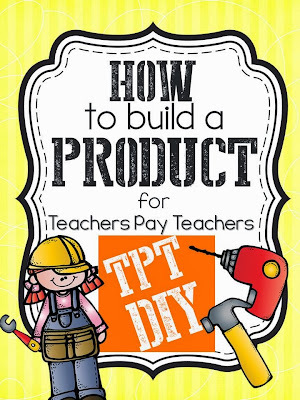 So I have been wanting to attempt to begin creating products for TPT and am thoroughly afraid of doing something wrong. I am definitely going to pin this to reread again and again because I am so new to this. Thanks so much for taking the time to share your knowledge!! After reading your very detail, simple to ready, and awesome guide, I found more information on how to protect images. This is a good article http://www.naturefocused.com/articles/image-protection.html. Hey! I have a question... If I want to do a product using photographs and take them from google images... can I use them in my product? For example- if I want to use a picture and ask questions about the picture... but not sell the image.... is that permissible? If not, can I give photo credit by placing the website under the photo? You may not use photos you find online through Google Image searches in products you sell or offer for free UNLESS you find the author of those photos and get permission to do so. Google does not own the copyright to images you search for and images you find may be copyrighted. Never use images you find online in products or free resources without permission or purchasing a license. There are photo sites that offer the use of their images in products for a fee and this would be something you should look into. Just like any other art, the person who takes the photo owns the copyright of that image. Unless you take the photo yourself, you do not have permission to use photographs you find online in your products...even if you include a link to the site where you found it. Adding the link is not the same as having permission to use the photo. If you are writing a blog post and want to use an image you find on the web, you must also get permission to do so. In the case of social media sharing and/or blogging, many bloggers will just link back to the source. Most times, this is alright, but many times it is not. You must always get permission. My best advice is that if you did not create it, take it, or draw it, then you better have permission to use it. Whatever the "it" may be. Thank you for stopping by and that is a very good question. Super Helpful!! Thank you for this article! I definitely learned some things and avoided some potential problems. What an awesome post! Thanks so much! I am just creating a TPT page and can use all the help I can get. I do have a question though regarding curriculum specific products. If I create a product that is specific to a curriculum (example Houghton Mifflin, mcGraw-Hill, etc), is that allowed or are there rules for this. I know other sellers have created products like this- because I have bought some : ) - but do I need to watch any copyright infringement? The reason I am asking is I am starting a new math curriculum this year. Although I know it would narrow my market, for the time being selling products I use in my classroom would be the easier to get the ball rolling. Thanks Michelle for such an informative post! I have created similar over at my blog (focusing on Australian Copyright) but have provided links to this post as well for more detailed information regarding Commercial Use licenses, cliparts etc. Thanks again! I was wondering if you knew how to adjust the borders in power point so that when it prints the border is on the edge of the page? Thank you! Hi, such a informative post. This is have amazing wealth of knowledge . With the help of your blog my quarries are removed. I have a question that may be a little off topic. When I create clip art, I use Photoshop (which makes huge files). What do you use to create your clips and how do you save them? Yes would someone answer this question? I use Photoshop too, not Power Point. I cannot begin to imagine using PP to create art! ??? My files in Photoshop are HUGE! Thanks so much for this post. I am néw to this and am creating a TPT store as we speak, I was wondering what the most common program to create clip art is? Also, if I buy clip art from someone from TPT...how do I appropriately give them credit. I want make sure I do everything correctly. Also, if I create my own clip art in powerpoint is it still not allowed on TPT because I used their graphics? This is probably the most ignorant question ever but I am a TPT newb and would like to do it correctly. If I use a font that is already in Microsoft or PowerPoint is that okay or considered a type of copyright infringement? Thanks! Great article with lots of good information. However you didn't discuss using crafts designed for children and adults and craft patterns. Many people believe that craft designs cannot be copyrighted. But any tangible creative can be copyrighted if it is an original work with unique features. Changing a craft design just a little or tracing the design is called a derivative and is still in violation of copyright law. If the design is still recognizable as coming from the original, don't use it. Simple crafts with very little unique design features would be very hard to claim copyright since it could be argued that they aren't unique, but unique crafts that are designed in a specific way are copyrighted by the creator. I'm only 5 months into the TpT and blogging world:(PenguinEducationalIceberg.com). Thanks so much for making sense of the whole copyright issues. I do want to be fair and respectful of others' talents and efforts. Thank you SO much for writing this post! I am a 2nd grade teacher and have decided to dabble in TPT (since I already create a lot of my own stuff AND purchase a ton on there!) This has helped me so much on the behind the scenes of creating to sell! I do have a question for you...I currently use a lot of QR codes (I'm addicted! lol) and I link them to amazing videos from youtube (after safely creating a kid friendly link through safeshare!) and so I was wondering...can I sell a document with questions regarding a video from youtube with the included QR code on it? For example, a page where the student would scan and watch the short video on MLK Jr. (QR code on paper), and then answer questions etc. regarding video. Do I need permission to use the video? Thanks in advance for your help!! Could you give a little more info about fonts please? Is it ok to use times new roman, helvetica, or do I need to get permission for those?